After a whirlwind Kickstarter, we are finally ready to reveal what we’ve been hanging onto for over a month…the cover of the new anthology set in the world of the Ministry! 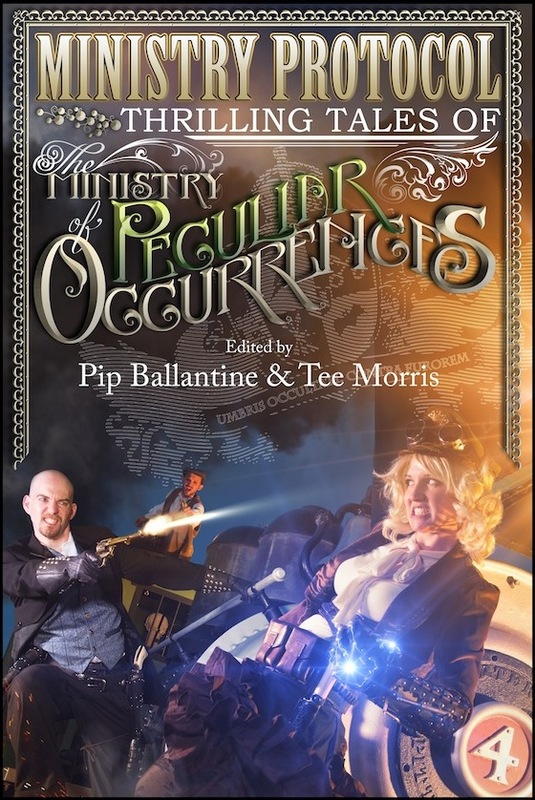 The Ministry of Peculiar Occurrences novels are a multi-award winning steampunk series, which tells the story of the government agency committed to keeping citizens safe from the strange, the unusual, and the bizarre. In a very successful Kickstarter in July, the Ministry Initiative was funded, allowing the creation of both a roleplaying game and a brand new anthology. Ministry Protocol: Thrilling Tales from the Ministry of Peculiar Occurrences is a collection of short stories that will take readers across the Empire and all over the world, revealing new facets of familiar characters and introducing new agents, allies, and enemies from the Ministry’s colourful history. The authors of this globe-spanning anthology include Delilah S. Dawson, Leanna Renee Hieber, Alex White, Jared Axelrod, Tiffany Trent, Peter Woodworth, Jack Mangan, JR Blackwell, Dan Rabarts, Lauren Harris, Karina Cooper, and Glenn Freund from The League of S.T.E.A.M. And one of the Ministry’s creators, Tee Morris, presents the origin story of the Ministry of Peculiar Occurrences itself. Look for the ebook coming in August, with signed print editions to follow. 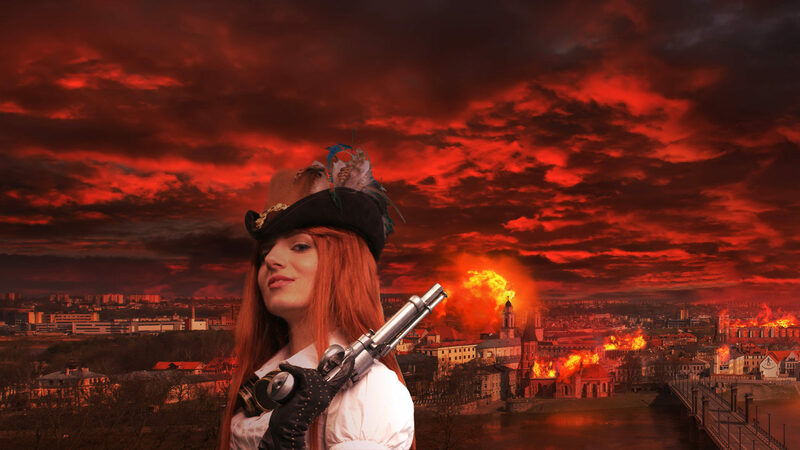 Feast your eyes on the cover art from the Ministry renaissance man, Alex White, and spread the word about the anthology by entering the giveaway. SUPER EXCITED! If you aren’t reading this series, you should be. Seriously. 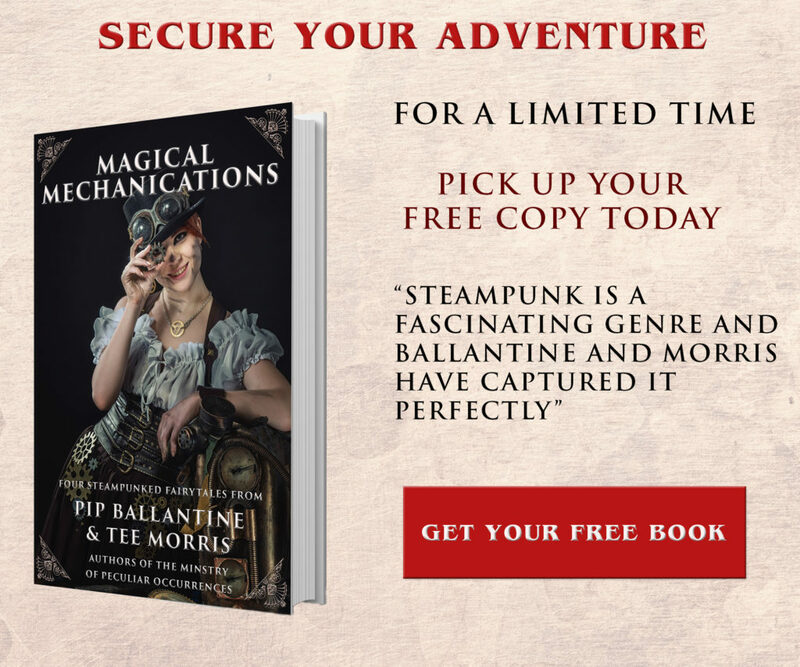 What makes steampunk so appealing to me? Probably my obsession with the Victorian era. So give me that setting and time period with some awesome sci-fi elements, and I’m pretty much sold! A great cover! Many thanks for the giveaway, I cannot resist taking part. Very nice cover I blogged about it. the cover is funny and i can’t wait for teh anthology! OK, I cannot wait any longer. And the winner was (not me, I suppose)…? Our apologies…we didn’t hit the relevant button to display the winner. Congratulations Shelley!! Aaah, congratulations to the winner are in order, then!